Applications Close: 5pm on Wednesday 24 April 2019. Please note: late applications will not be accepted. 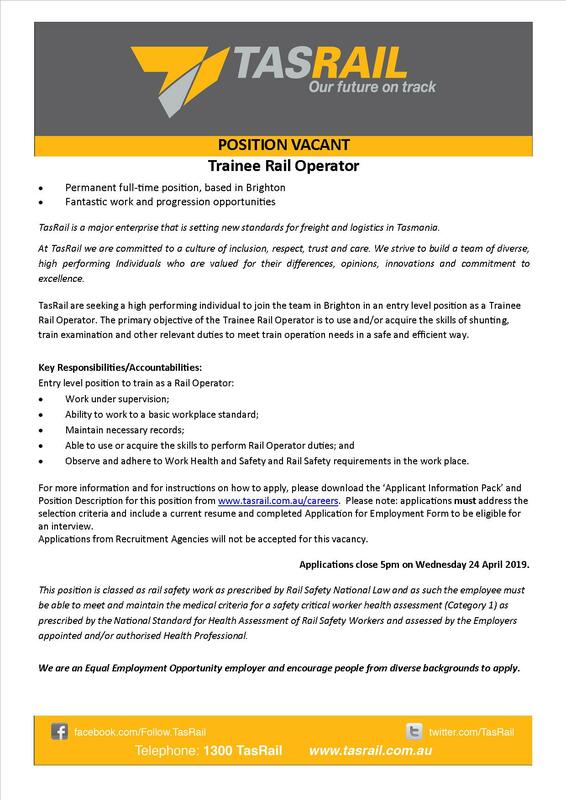 Thank you for your interest in a career at TasRail.